"Of course not, it's... it's liquid pride. Totally different thing." Previous threads - One, Two, Three, Four, Five, Six, Seven, Eight, Nine, Ten, Eleven, Twelve, Thirteen, Fourteen, Fifteen, Sixteen, Seventeen, Eighteen, Nineteen, Twenty. Here is a link to the current fanfiction thread, for everything pony fanfic related. Please mind the spoilers for the sake of everyone's enjoyment of the thread, unless it's from an aired episode, keeping it hidden under black bars and sblocks is highly appreciated. Hmm, this seems like a good time to rewatch the latter half of S6, and some key episodes throughout the series. I still need to remind myself to start season 5 this year! Ooh, have fun. Season 5 is my favorite season! I think the people who are proclaiming Starlight is being written out are getting their hopes up prematurely. I think part of the point of the premiere will be that Starlight actually isn't ready to graduate yet. It kind of comes off that Twilight blurted that out because Discord put her on the spot. I remember the days when I really did follow them in the hundreds, when getting down with Big Molly, catching up with Surprise and getting moonstuck with little Woona were all the thing to do. Now though it's pretty much just Bonnafied that updates with anything kind of regularity. Hah. Nice to be the one to name two threads in a row. 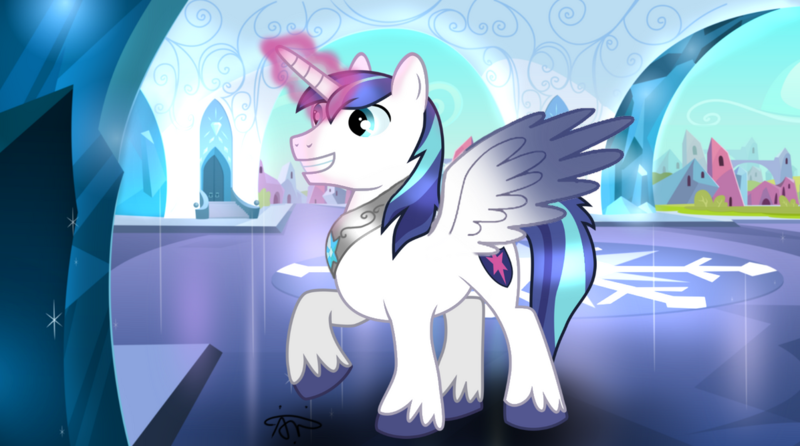 Wait, did Shining Armor get wings? Not in the show, no. Ah Thread twenty, it lasted longer than any other Pony thread to date (Mainly because we upped the thread age from 2,000 to 5,000). It was actually two and a half years old. Can you believe it? Well, here's to another thread of Pony goodness. I'm-a claimin' a spot on the first page! A reminder of Tobias Drake's WIW on TVTropes. He doesn't see the point in Twilicorn and doesn't like how the map robs the 6 of agency. We haven't gotten to Glimmer's redemption ep yet but he knows about it. He feels sorry for Flash, because adult women masquerading as teenagers keep sneaking into his school to molest him.